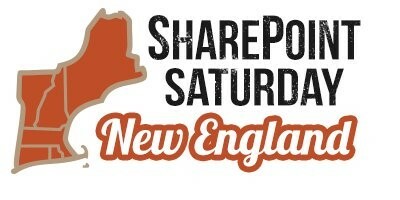 We would like to welcome you to submit your session for the first annual SharePoint Saturday New England at the Microsoft Technology Center in Burlington, Massachusetts. Sessions will be 75 minutes in length. We would ask that you not pitch any product, service, or other commercial message during your session or workshop. Please be prepared for your session so that it can start and end on time. We also ask that you help us get the word out by publicizing the conference and your session via via Twitter, Facebook, and/or your blog.